Only $4.98! 50% off! Start shopping HERE! Included in today's bargain is 3 of the .5 oz. sampler of soap nuts (good for 4-6 loads) for a total of 12-18 loads! 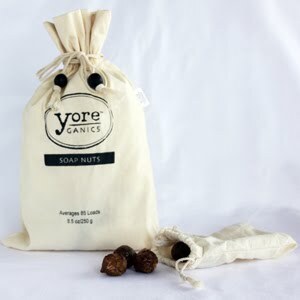 Soap Nuts - Soap Nuts fall from the soapberry tree fround in Northern India and Nepal. The outer shells of these dried fruit berries contain saponin, which creates a natural soap when agitated in water. They are a 100% natural, chemical-free laundry detergent which cleans, softens, and removes odors from your clothes!